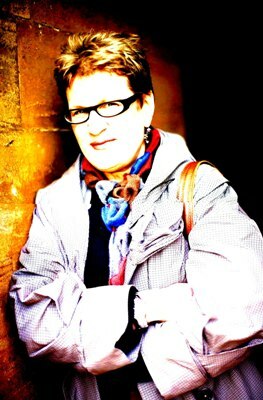 Meg Rosoff studied at Harvard University and at Central St Martins in London. She started writing novels after a career in advertising. Her first book, How I Live Now, won The Guardian Award (2004), Michael L Printz Award (2005), Branford Boase Award (2005) and was shortlisted for the 2004 Whitbread Awards in the children’s book category. She has written a further three novels, as well as three books for children. You are a successful published author and a Mum. Which came first and how do you make the two jobs work together? My daughter was born when I was 40 and I published my first novel at 47, so I guess she came first. I don’t think of either one as a job, exactly – they’re both huge parts of my life, and I just do what every other harassed over-committed person does, I don’t pay quite enough attention to either one. YA and adult readers. Novels of magical realism, nineteenth century, futuristic 21st century post war, but also children's picture books - you seem to defy labels. What do your books have in common? I think they all have the same sensibility – the belief in connection, love, the importance of friendship and relationships, the sense of the world as a complicated place that you have to forge your own path through. Also characters who feel out of place in their worlds, the search for identity….when I start to make a list, I always feel as if I’ve written the same book four times! In the Pieces of Me feature in The Guardian you wrote that, “the week my first novel came out was the week I found out that I had cancer. My younger sister Debby had died of cancer, which started me writing - the sense of life being short.” How does either event still affect your writing? I think about death all the time, not in a morbid or negative way, but with the constant sadness that not everyone gets a chance to live as long as “necessary” -- I’ve never been a very cautious person, but I live now with an even greater sense of urgency, the sense of a huge clock ticking and a desire to fling myself at life while I’m alive. How long did it take you to actually write and complete and sell your first novel, once you started? I keep meaning to look in my diary for the actual date I had lunch with my possible-new-agent - I think it was January 7th 2003. I finished the first draft of How I live Now at the end of April 2003, and the US and UK auctions were in May of that year. What did you do with your first royalties cheque? I did what everyone tells you not to do – I bought a little house on the beach in Suffolk, at auction, with a friend. It’s the joy of my life. How do you select your titles? They mainly come to me while I’m writing at some point, and then about two weeks before the book is due to come out as a proof, my editor usually tells me that they need a new title. It’s a point of some annoyance, and I’m very sympathetic to people who can’t remember them. They do have a tendency to blur together. Your novels have wonderful stylistic covers. Do you like them and get involved in any way in the designs? 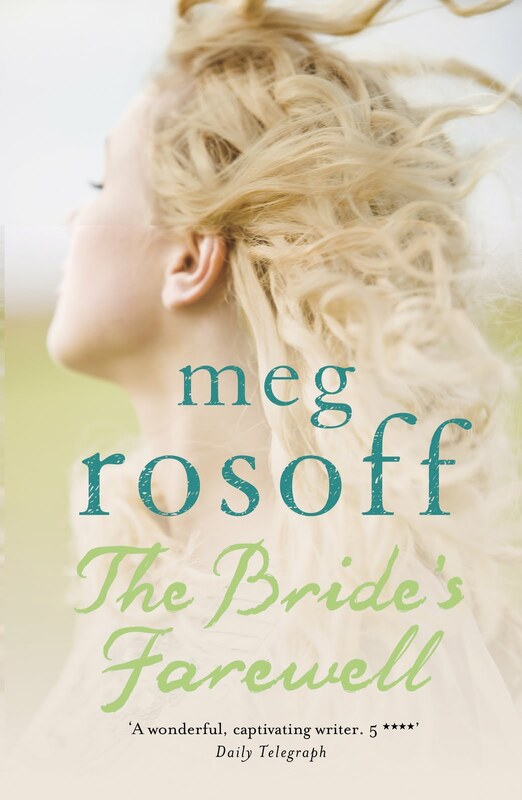 A Bride’s Farewell (out in paperback next week) is reminiscent of Hardy’s Tess of the D’Urbervilles, one of my all time favourite books. Which are yours and why? I can’t really bring myself to have favourite books. And if I did, the list would be insanely long. If I have to narrow it down to one, it would be Pride & Prejudice, because it’s such a beautiful elegant structure, and the writing is so perfect. I think of it as the literary equivalent to the Raphael crucifixion in the National Gallery – calm, beautiful, and incredibly powerful. How do you know when you have finished your editing process? The editing process differs hugely with each person. I know my book is done when my editor tells me there’s nothing more she wants to do, and I can read the book through and feel there’s nothing more I want to do. I don’t recommend any particular way of working, you have to find your own. I edit extensively as I go along, and then again when each draft is “finished.” It feels never-ending sometimes. What I try NOT to do is to read the book too many times over – you start to lose all perspective when you do that. 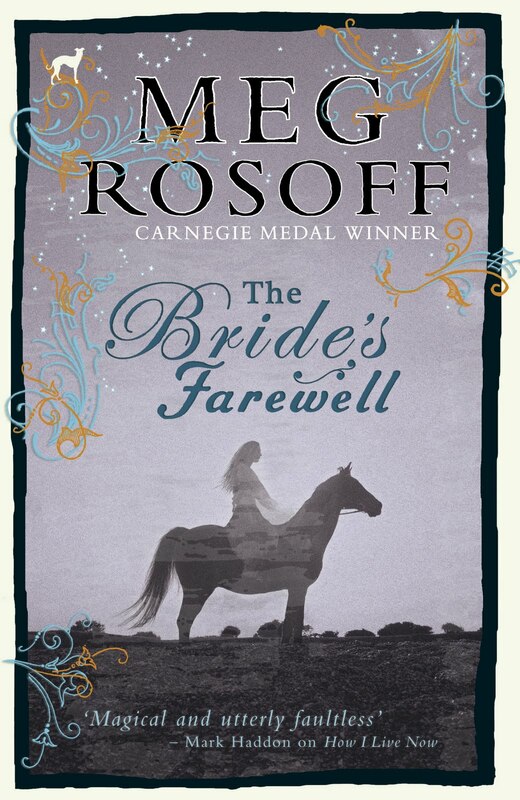 In The Bride’s Farewell there are very short chapters and sentences. Was that deliberate, and if so, why? It was deliberate in that I generally write with short chapters, and very short books, for that matter, but I’m not sure why I do it. Someone told me that every writer has a comfortable length – mine is just under 50,000 words. It seems that the concept of ‘show don’t tell’, is hard to understand, but you do it so very well. How would you explain it to a new author? You need to be INSIDE your story, not outside telling it. It’s a hard thing to explain, but if the writing lacks freshness and urgency, the reading will too. Sometimes I say it’s like being a camera – you need to walk around a corner and be surprised by the same thing that surprised your character. How do you do your research - post-it notes, wall charts, stacks of notebooks? I’m not wild about research, and tend to do it as I go along. I never take notes, but figure that with my sieve of a brain, whatever I manage to retain will be the important stuff, the things that really strike me. Leaving research out of a book is vitally important – you can’t throw stuff in just because you think it’s interesting, it has to move the story along. I like to immerse myself in the sights and sounds of my time period – by reading other books set at the time, and particularly, looking at paintings of the houses and people. Your novels have a great sense of time and place, yet their issues cross into the here and now. 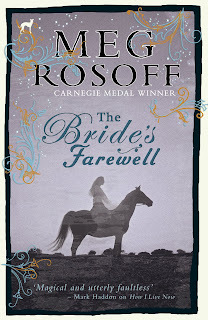 (From A Bride’s Farewell) “Half the country moving about, living where they oughtn’t. And another half can’t be bothered to work, not when they can live for free on parish funds.” Pell who thought she had observed more of workhouses than he had, said nothing.’ - What’s been your favourite place so far? I think the Suffolk coast has been my favourite location, but I loved writing about the New Forest, too. I love the feeling of squinting at a landscape or a town or a village, and seeing it as it once was. I start at the beginning and write through till the end, but that usually gets me a very short draft which then needs lots of ‘weaving-in’ doing to it. I often add an important character near the end, or flesh out one that’s been hanging around in two-dimensions, waiting for a role. I have a vision of a futuristic chair – like a curved lounge chair with my computer attached at the exact angle so I can be in any position and still see my screen. I think there was something like it in one of the last episodes of The Prisoner, with Patrick McGoohan. Though anywhere without internet access is a great place to work. You were recently on a panel masterclass ‘How to get Published’ at the London Book Fair. What is your one top tip for new writers? That’s easy. Write a @£$%^&* great book. Would you recommend getting an agent and why? If you can get an agent, by all means get an agent. Negotiating and keeping track of money is time consuming and a very specialized job. If someone can do it really well, why do it yourself? Would you make any different recommendations to young (under 18s) writers? You have a page on Facebook, you blog and you “Twitter”. How important do you think online connections are for writers? These days, I think they’re incredibly important. They’re also time-consuming…but anything that raises your profile is helpful. The main thing, however, is the writing. It has to be good. It is sometimes said publishers want more of the same after an author is initially successful, but authors may need to write something new. Your work is very diverse. How do you manage this? You get a lot of freedom if you can sell books. And because my first book was quite successful, no one has ever told me what to write or when to deliver it. I feel very lucky. Do you have time for reading and is it possible for you to read a novel without dissecting it? I read constantly – though more and more, it’s writing that’s been sent to me for a blurb. I never catch up with all the reading I have to do, and when I do read something for pleasure, I often feel a bit guilty. I’m currently reading two soon-to-be-published novels, both of which are frighteningly great. And yes, my goal as a reader is to be too carried away to even think about the structure of it. Vamoose! has just been published by Puffin. What else is coming up in 2010 for you? I’m just finishing off my fifth novel, There Is No Dog, which is due out in early 2011. It is about God turning out to be a 19 year old boy, who’s made a terrible mess of the world by his incompetence and indifference. If you weren’t an author, what would you be, assuming you could anything? I'd like to ride horses all day. 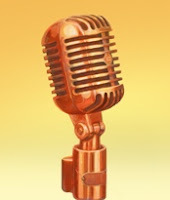 TVFH Desert Island Discs: which book and which luxury object would you like to take with you and why? If I got to have Shakespeare and the Bible, I think I’d take a complete collection of Yeats poems, and a really really comfortable bed. I think that’s pretty self-explanatory. Love the interview, and especially this: "I’ve never been a very cautious person, but I live now with an even greater sense of urgency, the sense of a huge clock ticking and a desire to fling myself at life while I’m alive." 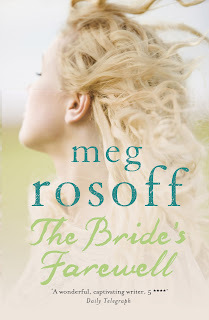 Write on, Meg!